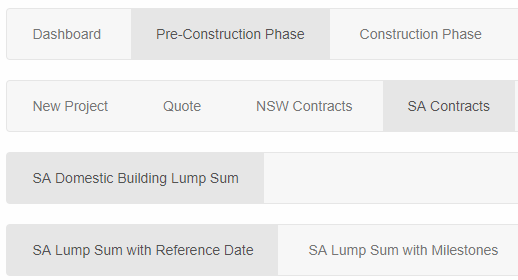 From your project page, go to Pre-Construction > Create > SA Domestic Building Lump Sum > SA Lump Sum with Reference Date on SA Contracts tile. 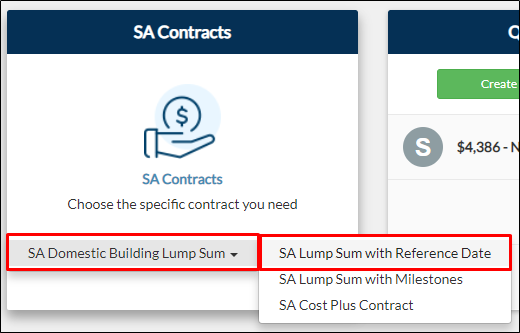 From your navigation bar, go to Pre-Construction > SA Contracts > SA Domestic Building Lump Sum > SA Lump Sum with Reference Date. Or type in ' SA Lump Sum with Reference Date' on the search bar located on the upper right corner of your portal. 2. You will be directed to the SA Lump Sum with Reference Date page.